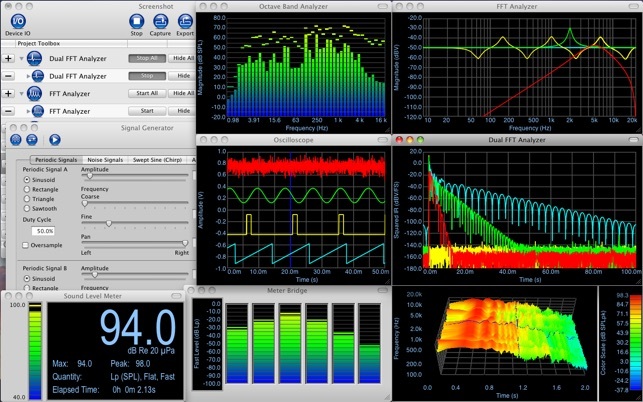 Electroacoustics Toolbox is a modularized, multi-channel dynamic signal analyzer and data acquisition platform. 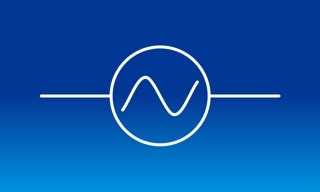 It brings powerful new tools to the Macintosh platform for multi-channel, audio-band data acquisition and real-time analysis of electrical, acoustical, and electroacoustic signals and systems. It enables precise measurements of acoustic quantities, such as equivalent and time-weighted sound levels, as well as acoustic and electroacoustic systems, such as listening rooms and loudspeakers. The software is designed to work with any Mac-compatible audio hardware and supports multiple channels of 8, 16, 24, or 32-bit data with sample rates as high as the hardware will support. - Room Analyzer tool for estimating room acoustics parameters from impulse response data (T20, T30, T60, EDT, Clarity, Definition, Center Time). - Noise Dosimeter tool for measuring noise dose with various threshold and criterion levels, with 3, 4, and 5 dB exchange rates. 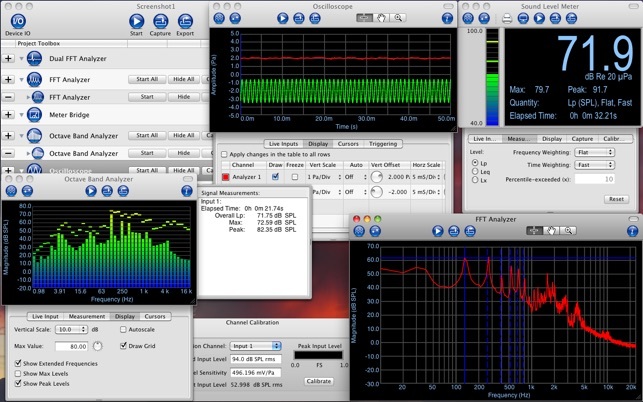 Electroacoustics Toolbox is a project-based application, which allows you to configure and save project files. Projects may contain one or more tools available in the toolbox, along with any captured data associated with those tools. Electroacoustics Toolbox allows for the creation of an arbitrary number of tools of a certain type, or tools of different types. For example, a project may contain an oscilloscope, two FFT analyzers, and two signal generators. 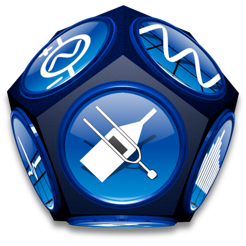 The oscilloscope and FFT analyzers may each simultaneously analyze multiple input channels of a single device. However, there is no requirement that all tools must work with the same device. The Toolbox also offers advanced capabilities for configuring input and output device parameters and assigning labels, units, and transducer sensitivities to individual input and output channels. Bug fixes for AppleScript access to the Dual FFT Analyzer tool. Does everything I need and more! I've been using Electroacoustics Toolbox for a couple years now but have just added the new "Room Analyzer" module so thought it was time to review it finally. The whole program is well thought-out and thorough, has great accuracy and is also easy to understand. I teach lectures in audio technology and acoustics and this is an invaluable tool in the classroom for me. It's very fast to get started and it has impressive and appealing displays, which really helps keep things interesting. Lots of different measurements and data collection can be done here, from very simple demonstrations to labroratory work. As far as the Room Analyzer goes, it is much less expensive as an add-on here than a lot of competing software with its functionality, and it's a part of an already great suite of tools. Very few tools provide clarity and definition measures as well as precise 1/3 octave band RT. It gives accurate results and exports data in formats suitable for Excel and Matlab which is one of the things that makes this app useful for real measurements and not just a fancy screensaver. The Room Analyzer module itself is slightly buggy in terms of the zoom features and for some reason it crashes when I try to open .wavs that are normalized to 0.00dB (the type that many convolution and simulation software create). So it's one exfra editing step for me sometimes to get the impulse response prepped. Also ongoing support from the developer has been good, with updates coming regularly since I first purchased the app. If ET has the features you're looking for you really won't find an alternative that's better, especially not all in one place like this.